The more you take the boat out, the better you get to know where your ports are. Part-time expat life in Mexico may test your friendships back home. Maybe that's not a bad thing. One of the outcomes of living in two countries that might surprise you is how much your arrivals and the departures make you reflect upon your relationships. My greatest worry is that I won’t be there if my friends need me. This is paradoxical because I’m more likely the one who will need the help. Picking up your life once a year to live in another country for an extended period is fraught with potential for mishaps. For these four years of living in Mexico single, so far friends haven’t been greatly inconvenienced by my unorthodox lifestyle. They understand the economic factors as well as the spirit that drove the move. But living this way is ripe with potential for mishap. As Keith Richards put it in his autobiography, Life “The faster you go, the more you’re gonna crash into things.” Will your friends be there for you if you call with an emergency that you cannot take care of yourself from Mexico? How well do you know your friends? I’m convinced that if we manage our lives extremely well and have abundant financial resources (along with the greater control that affords you), we probably don’t know our friends as well as we think we do. It’s something to think about if you are plannning to move to Mexico. About five years ago, I was on the board of a suicide-prevention non-profit. On a particularly golden evening, I needed to attend a charity event in an area of Denver I wasn’t familiar with. On the way back, I was driving on a road that seemed flat but actually rose deceptively. You probably didn’t know that if you have an older car, even if you keep it washed, an invisible film of oil often develops on the front windshield that simple washing doesn’t remove. As I crested the hill right at the point of sunset, the sun light hit the windshield and it turned as fluorescent-colored as a pair of ski racing goggles. In the seconds it took to register what the light show meant, I had collided into the back of a huge black pick-up truck. Fortunately, the other driver didn’t feel a thing, barely a scratch to the truck. My car was another story Once the police had done their job and the car was towed to a body shop, I started calling around for a ride home, at about 9:30 at night. Several friends were out of town. After a few calls, I finally reached someone, a friend who was always quick with the small present or the offer to buy dinner. Not having a good feel for exactly where I was, I gave her the address of the body shop where my car had been towed, located in a dark office park in suburbia. I should have called a cab or Uber to pick me up. In my shock that didn’t even occur to me. I’d just totaled my car and needed a friend. She was not happy. As a chief financial officer in a demanding job with a long commute, making a drive to an unknown area of Denver at nine-thirty at night ranked pretty low on how she wanted to spend her evening. She bristled with annoyance, making me feel like a 16-year old who’d wrecked the family car. I felt terrible. I know that panicky feeling you get as a career professional when you are out too late and start thinking about the exigencies of your job the next morning. I’ve seen people look at their watches and run out of bars mid-sentence. Anyone else but me, I thought, would have avoided that wreck. After months feeling guilty about calling her that night after totaling my car, I finally realized that my call was a test of friendship, a test of the kind that we do everything we can to avoid. How many times have you moved along in a relationship for years thinking you meant something to someone before a relatively small test taught you otherwise? Maybe we shouldn’t. I’d known and socialized with this person for almost five years before discovering that I didn’t rank above a perfect night sleep (after all, it wasn’t 2:00 a.m.). I wish the friendship had been tested sooner. This taught me that it’s hardship that creates bonds, not gifts and lunches. The more in control we are of lives, the harder it is to tell who our friends really are. When things are running swimmingly, with everyone getting their needs met, you really can’t tell. The further your boat goes out from shore, which it inevitably does when you’re a part-time expat, the more vulnerable you are to unexpected storms. One benefit to taking the boat out is that you learn more quickly and convincingly where the ports are. Related link: Friendships were actually heavily on my mind when I started this blog. Most recent: Imagine my surprise when I found out you can go to a concert, buy a bottle of tequila while you are there, and take what's left home with you. Up next: Have a consumer beef in Mexico? Where to go with consumer complaints. Hola! 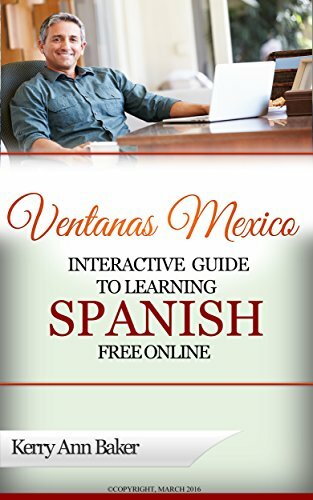 My name is Kerry Baker and I am the author of two books, the "Interactive Guide to Learning Spanish Free Online", a curation of the best Spanish learning tools on the web, organized into lesson plans and another book on renting in Mexico. Don't be an expat who speaks no Spanish. Use the Guide with your e-reader, tablet or laptop. I love studying on my Acer Aspire. Lightweight, slim and elegant, this laptop has been a godsend when traveling between two countries. 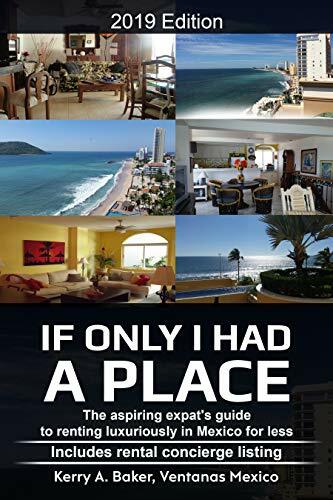 and "If Only I Had a Place" a guide for aspiring expats on how to rent luxuriously in Mexico for less. More than a how-to, if offers an infrastructure to the richest expat life. Its listing of concierges are available to view your place for you before you sign the dotted line from a distance.